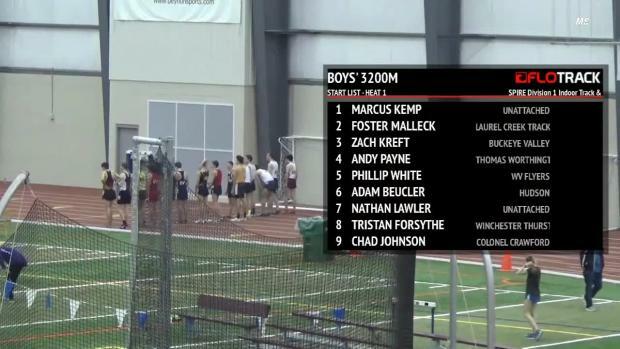 Colonel Crawford's Chad Johnson will compete in the 3200m event. 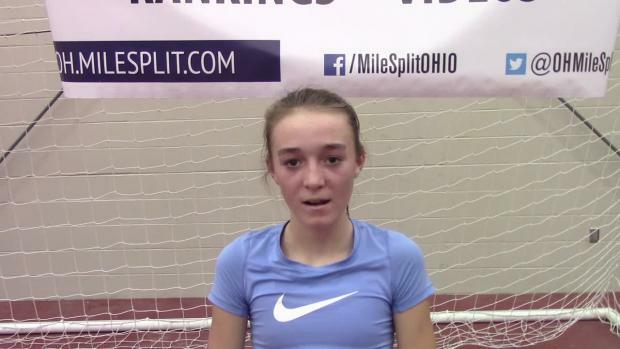 Dublin Coffman's Abby Steiner will compete in the 60m and 200m events. 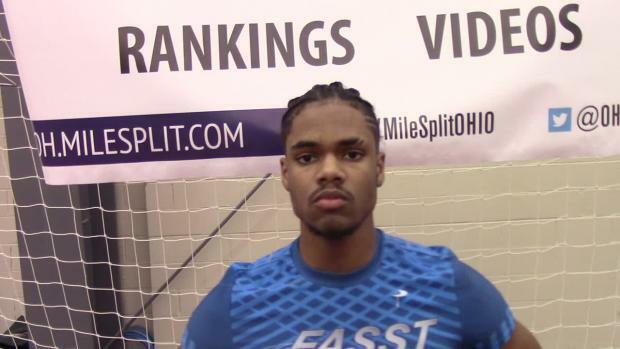 Euclid's Caisja Chandler will compete in the 60m and 200m events at the MileSplit / SPIRE Showcase. 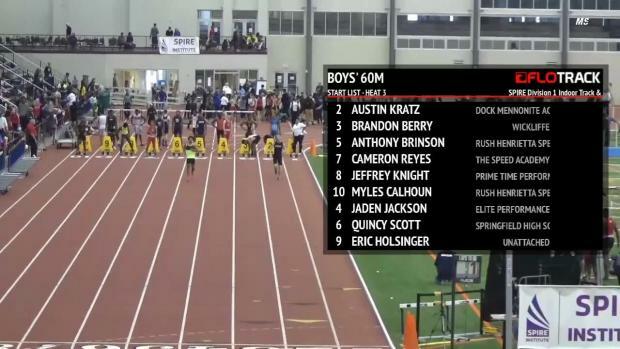 Austin Kratz put himself into the all-time rankings this weekend at the SPIRE Scholastic Showcase. 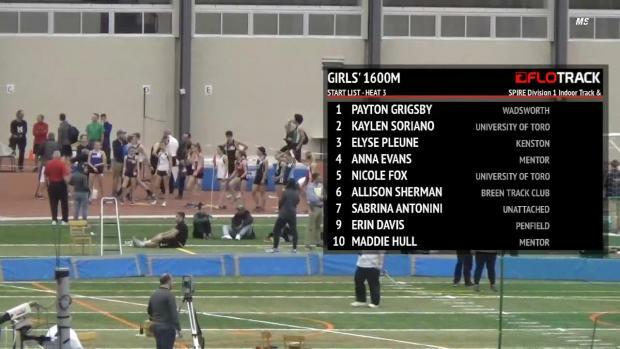 Grace and Lauren Ping will test themselves against strong 1600m and 3200m fields at the Showcase. 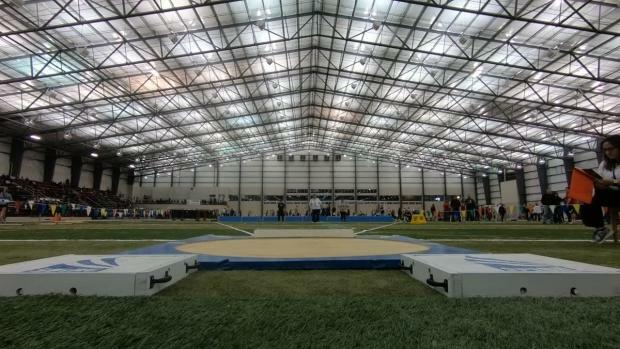 Many of Ohio's best track and field athletes have expressed their interest in competing at the Showcase. 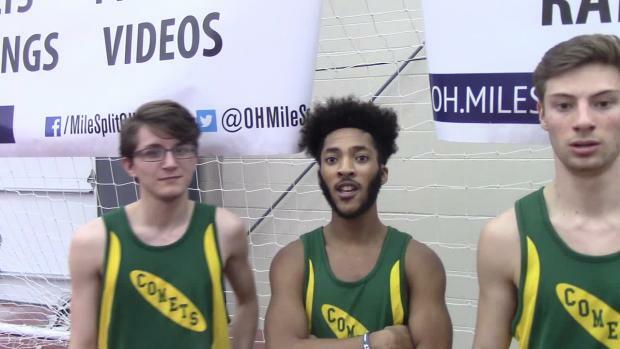 Elite athletes have started to express their interest in the 2018 MileSplit / SPIRE Scholastic Showcase. 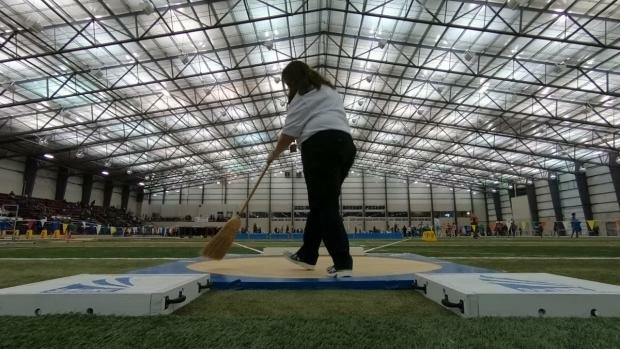 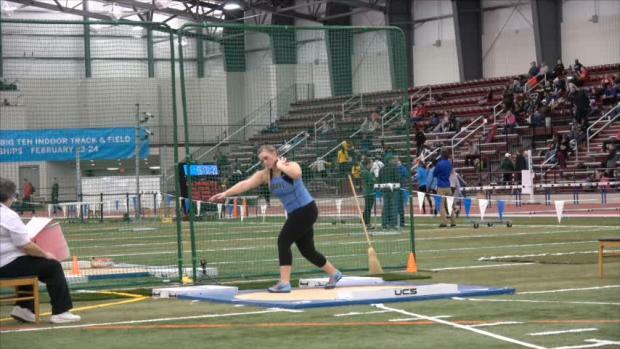 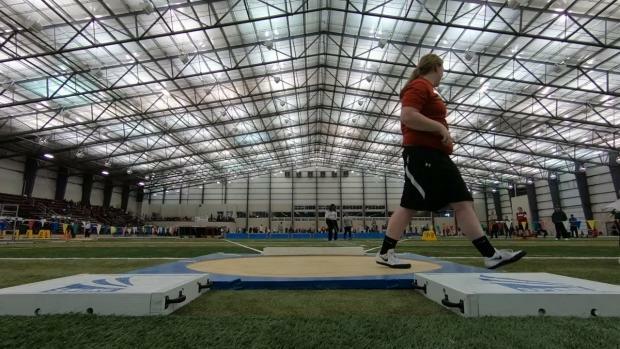 Hilliard Darby's Emma Kowalski will compete in the weight throw and shot put events. 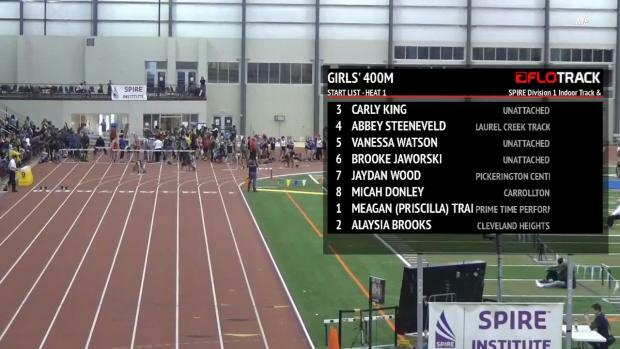 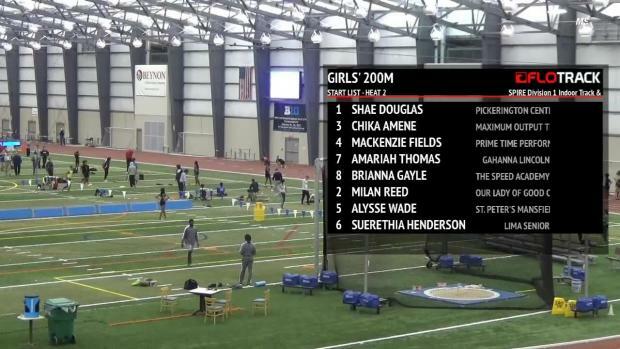 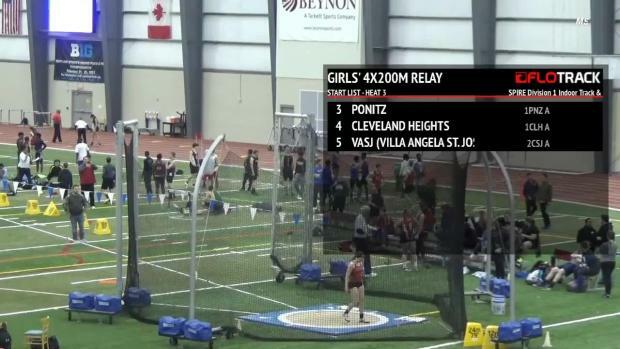 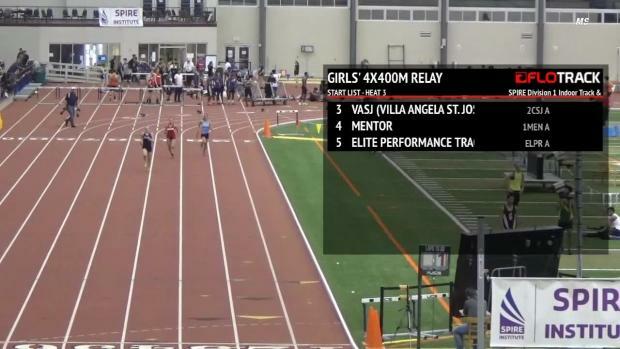 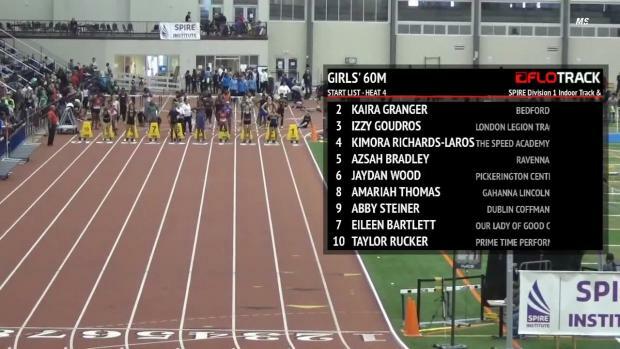 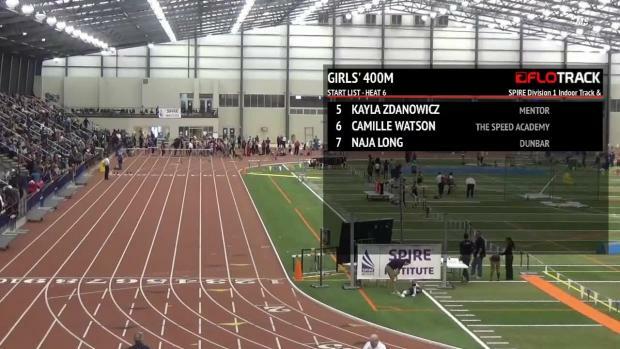 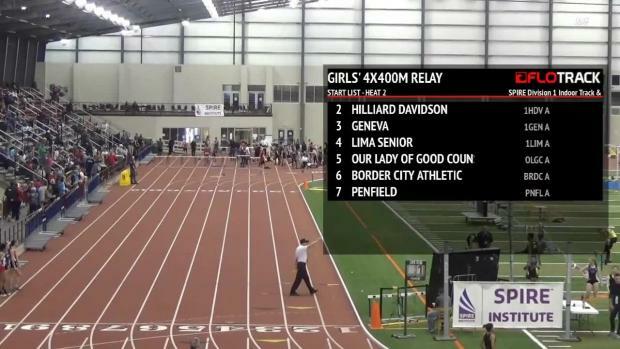 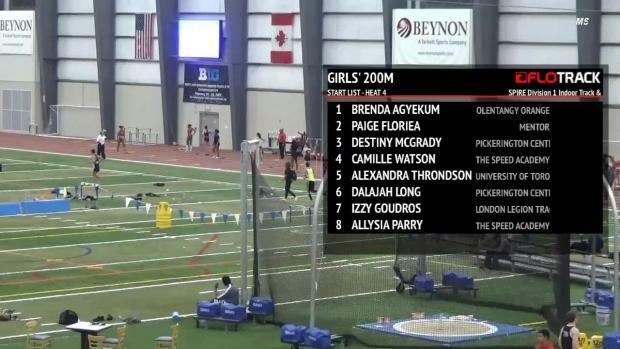 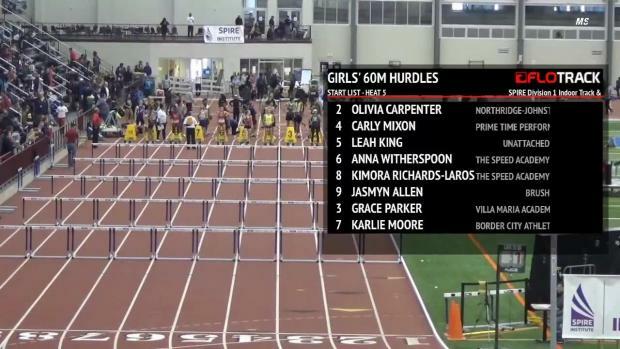 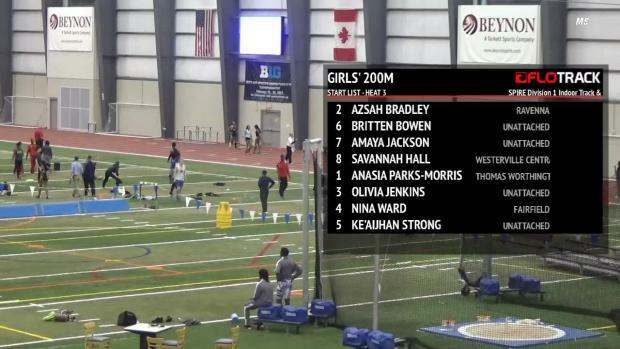 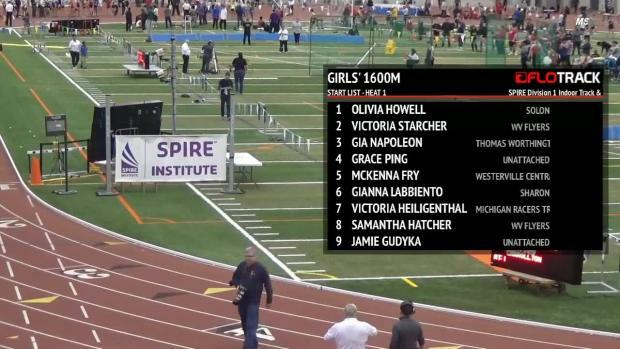 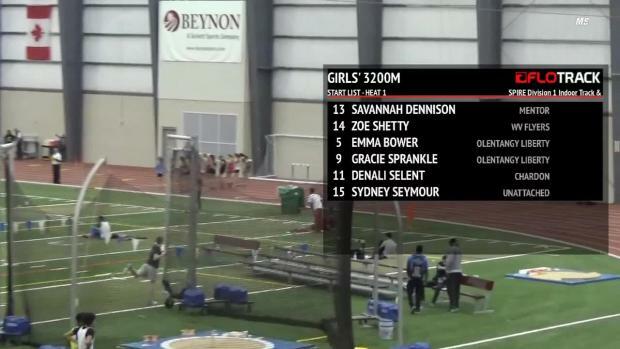 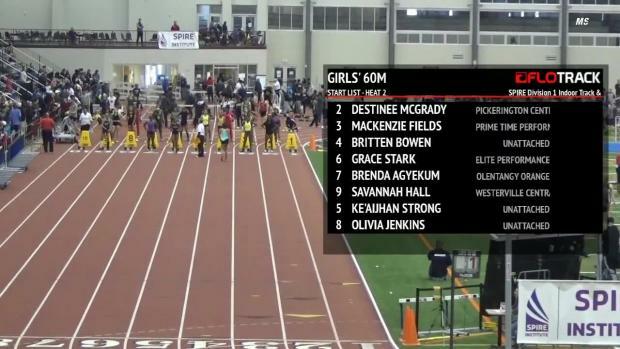 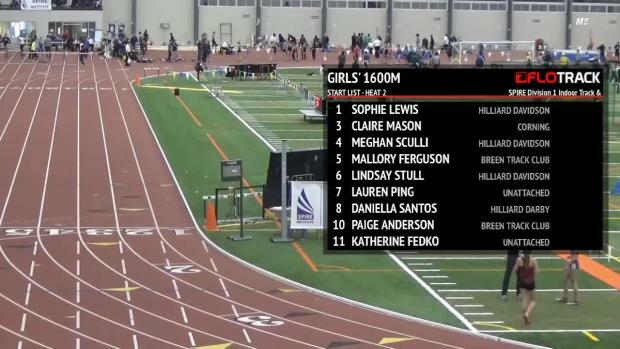 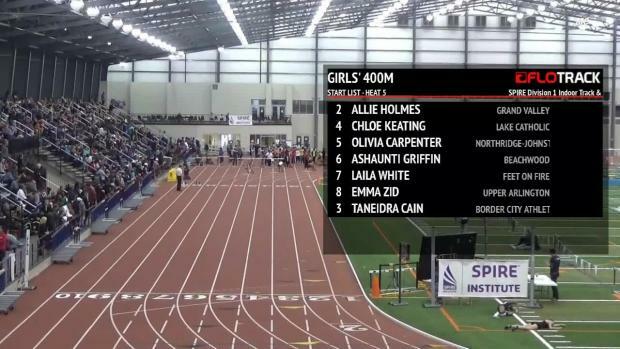 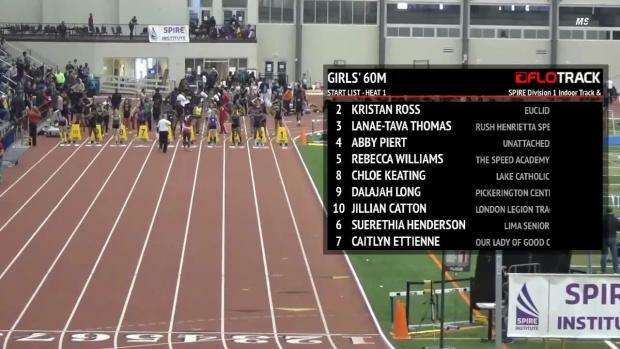 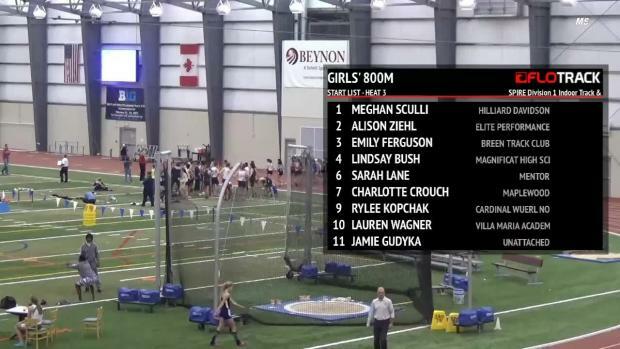 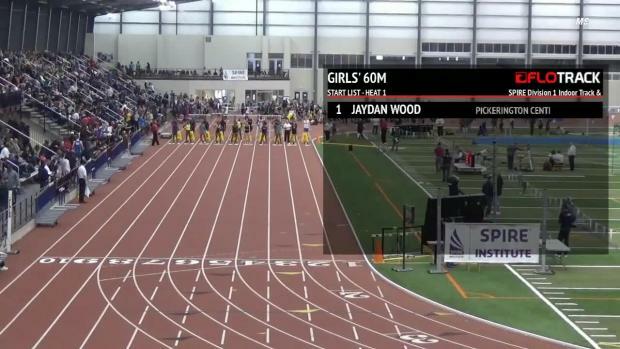 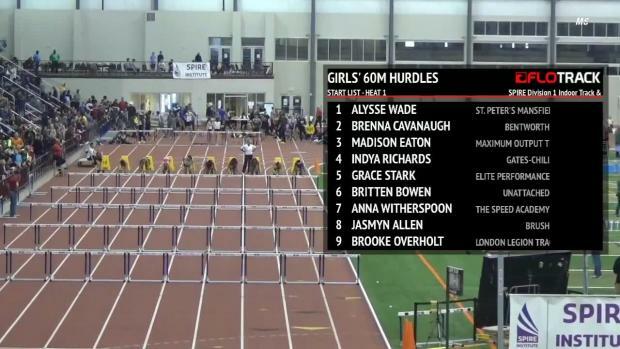 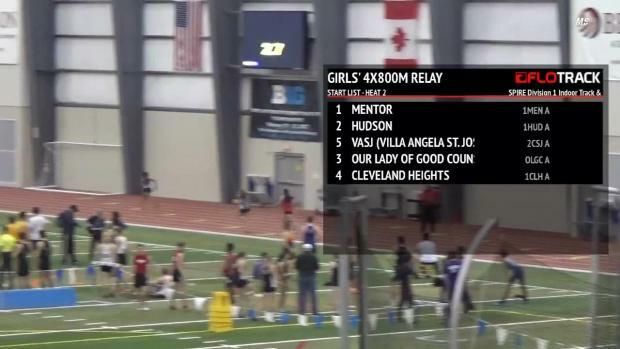 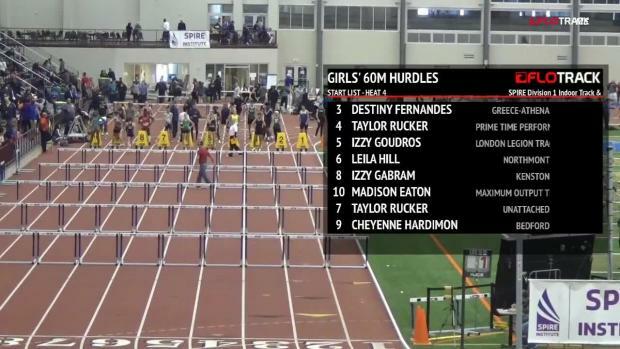 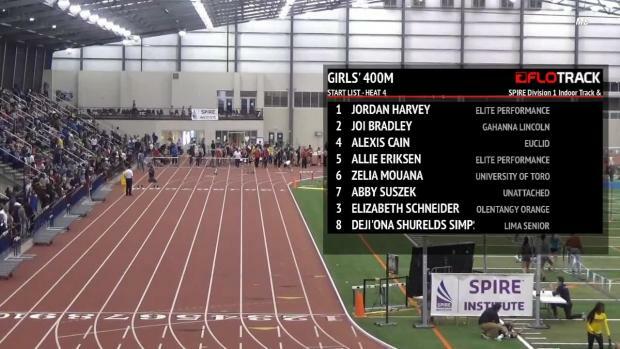 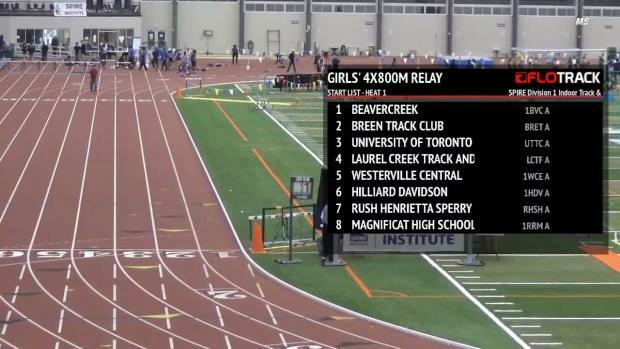 Check out our breakdown of the top 20 girls record holders at the venue. 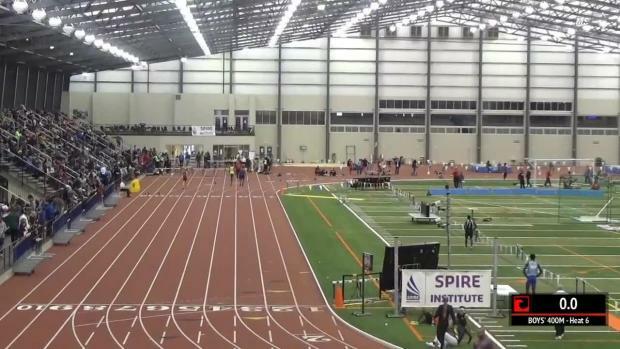 Check out the meet program for the 2018 MileSplit / SPIRE Scholastic Showcase. 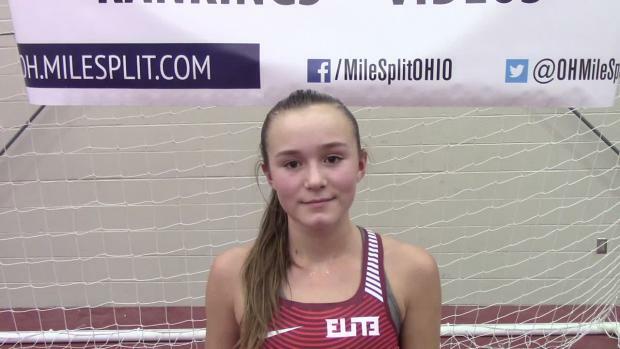 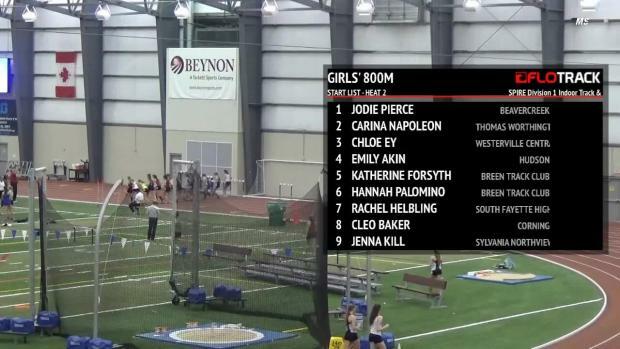 MileSplit Ohio is pleased to announce that Grace and Lauren Ping will compete at the SPIRE Showcase. 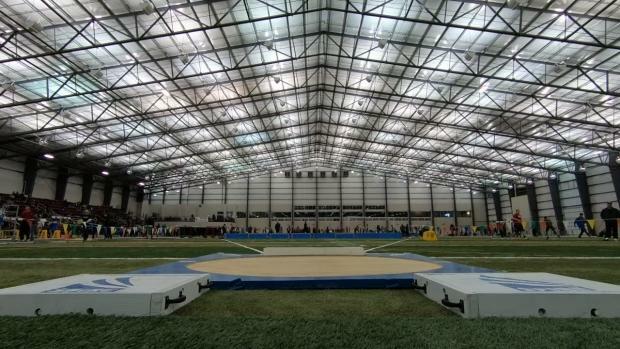 The 2018 MileSplit / SPIRE Scholastic Showcase will take place on February 11th at the SPIRE Institute. 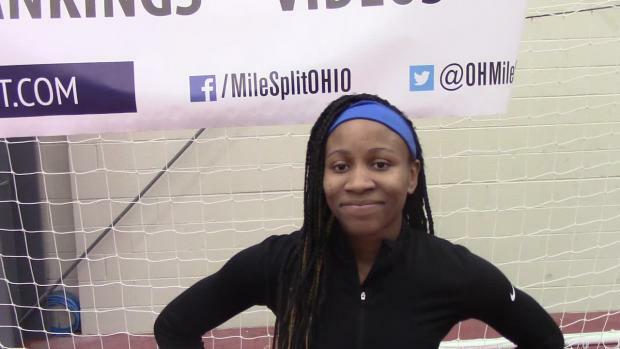 Beachwood's Mia Knight will compete in the 60m and 200m races at the 2018 SPIRE Showcase. 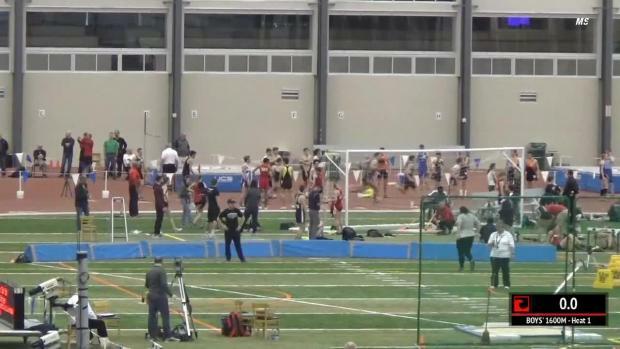 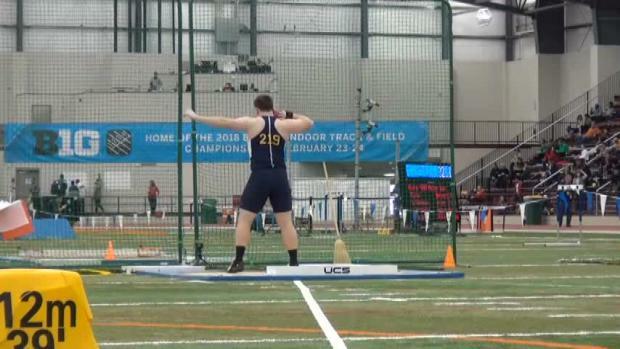 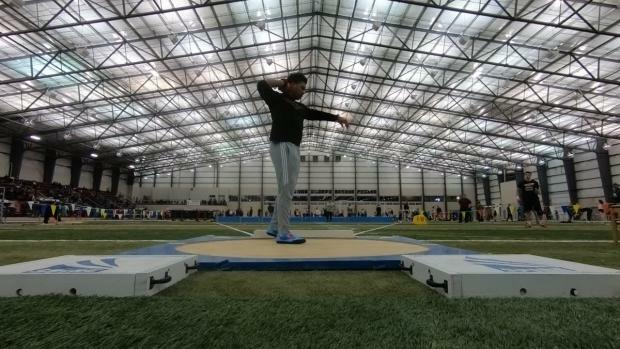 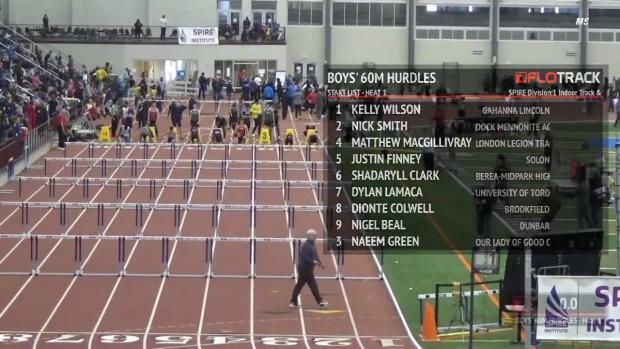 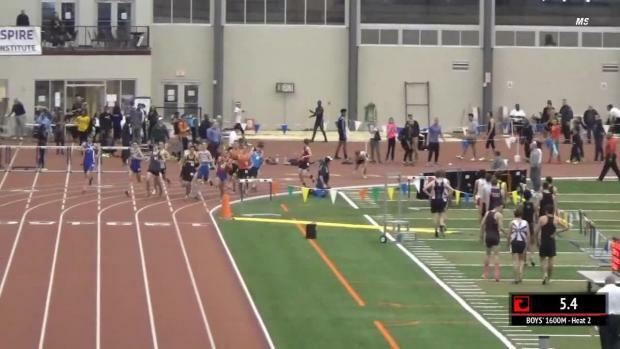 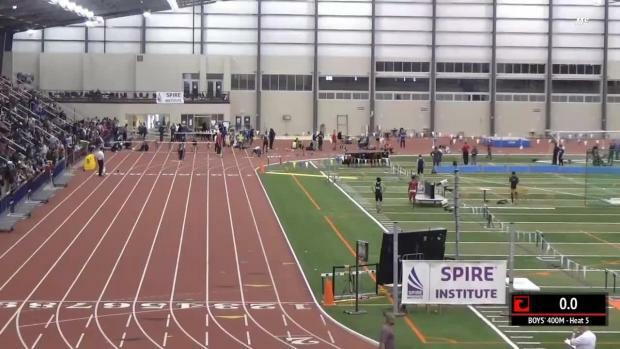 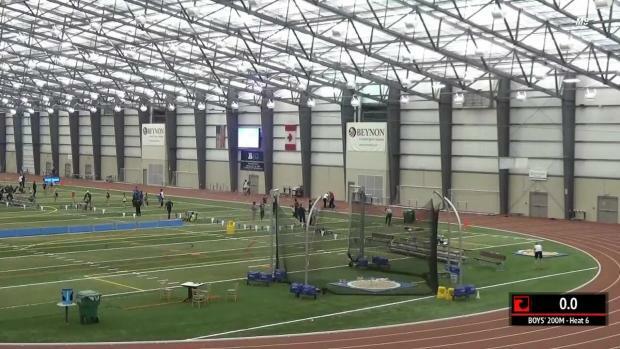 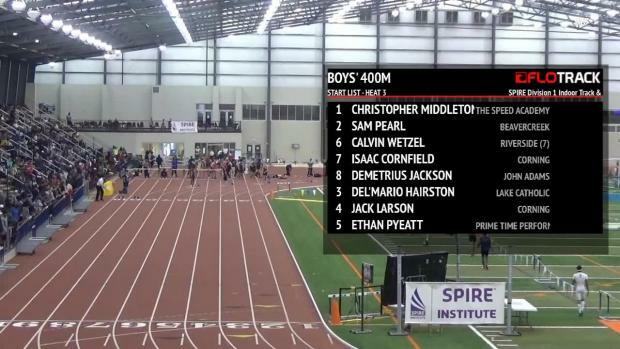 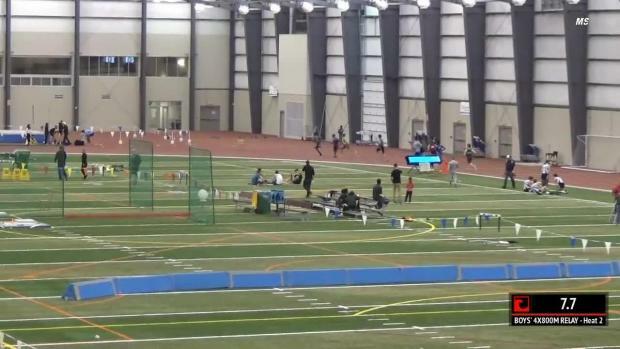 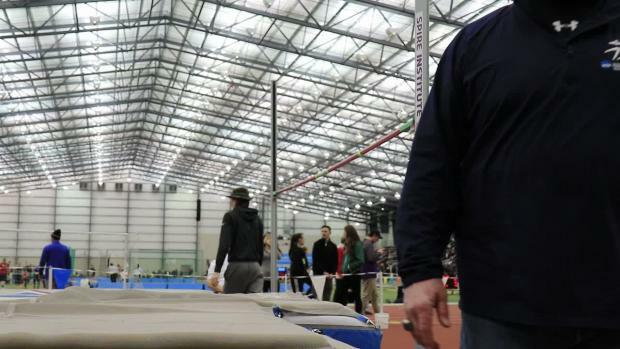 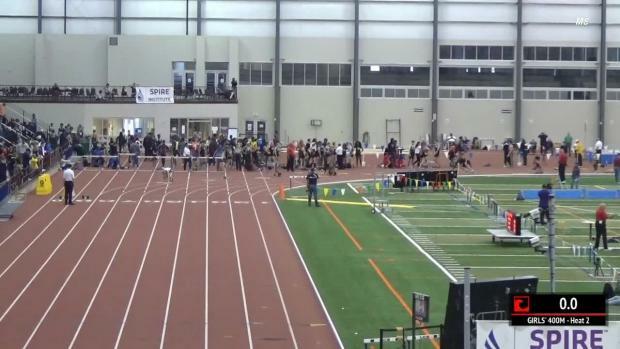 There are three meets live on MileSplit this weekend: the SPIRE Scholastic Showcase, the CHSAA Intersectional Championships, and the Great Southwest Indoor Track and Field Classic. 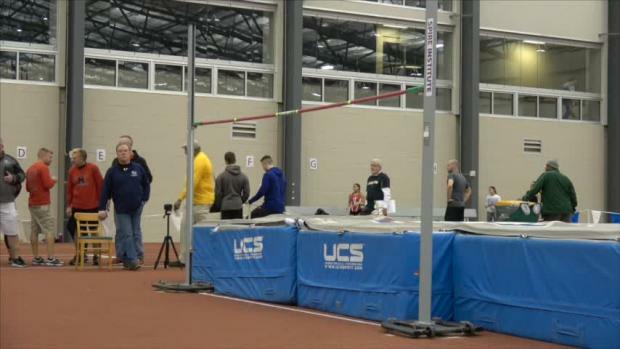 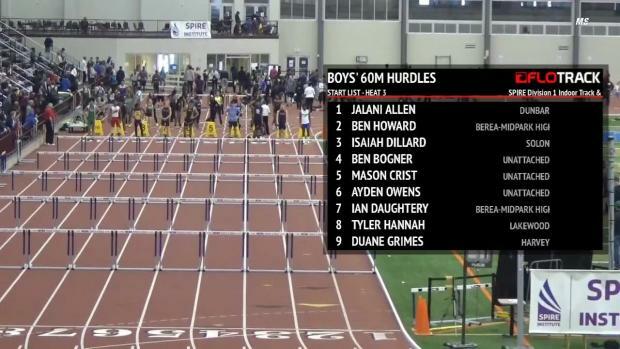 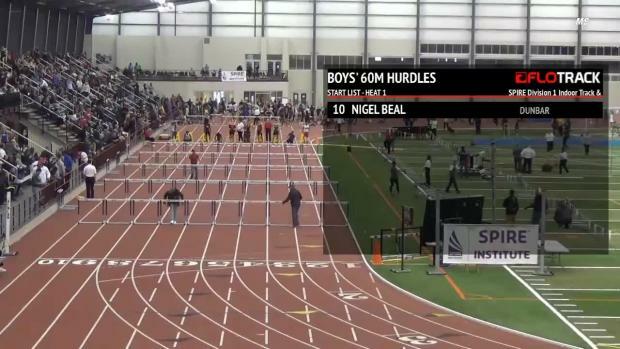 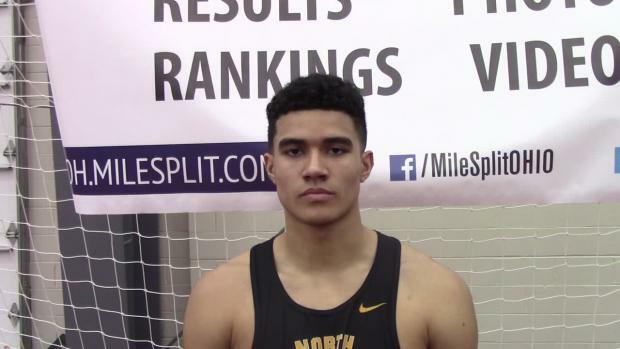 North Allegheny's Ayden Owens will compete in the 60m hurdles and 200m events at the SPIRE Showcase. 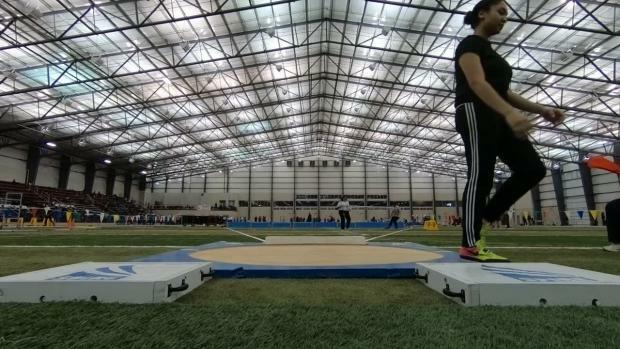 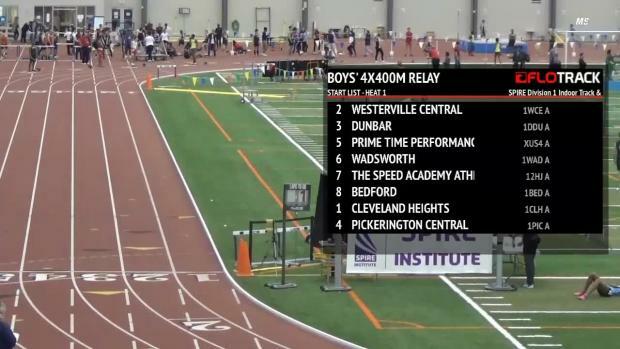 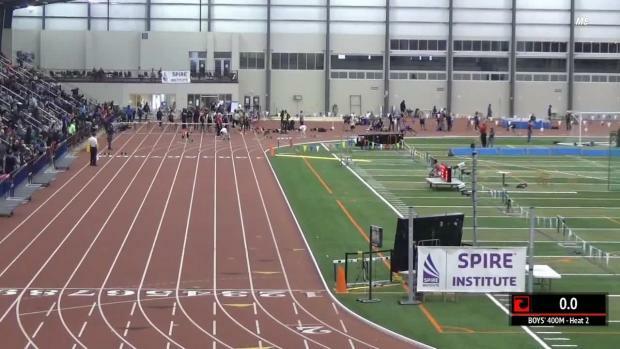 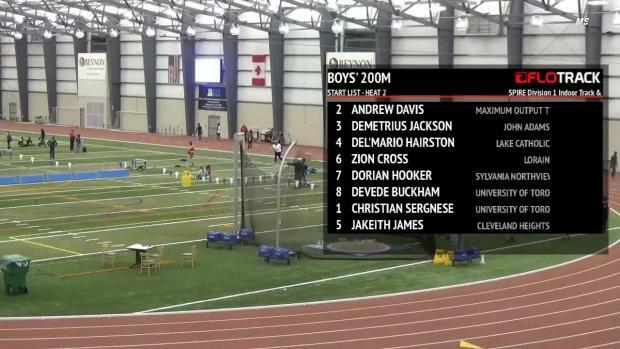 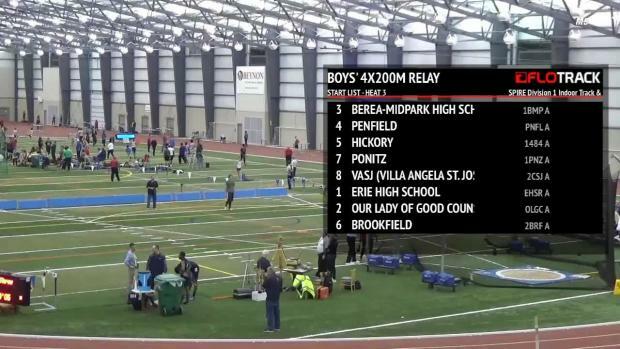 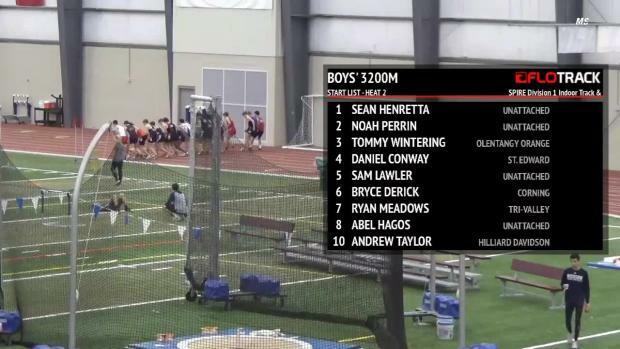 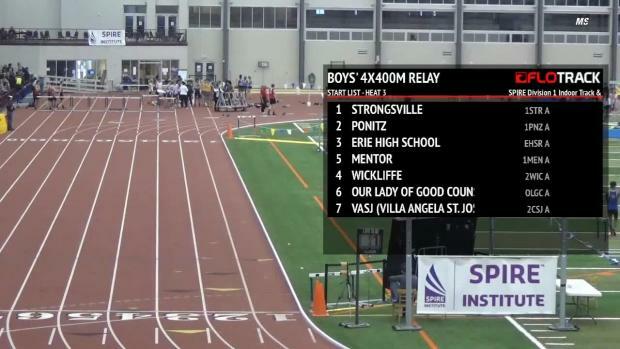 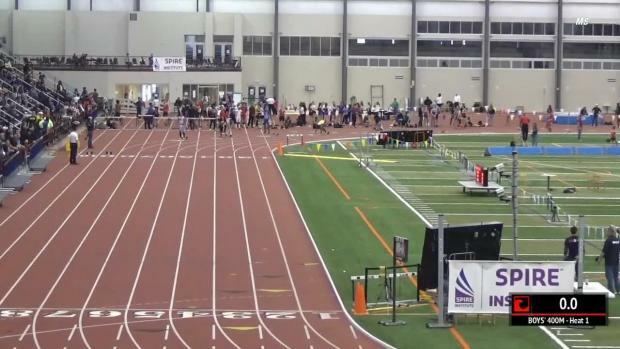 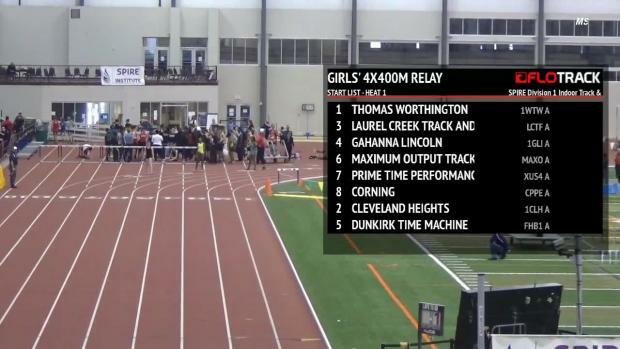 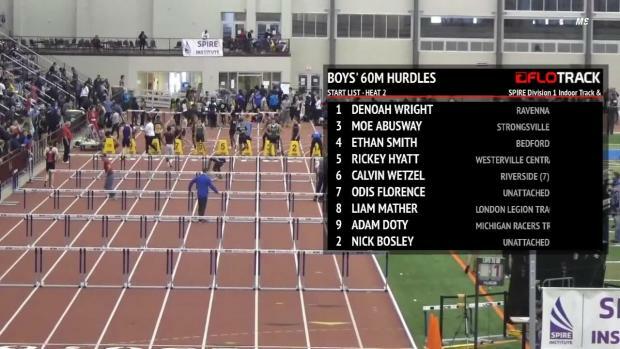 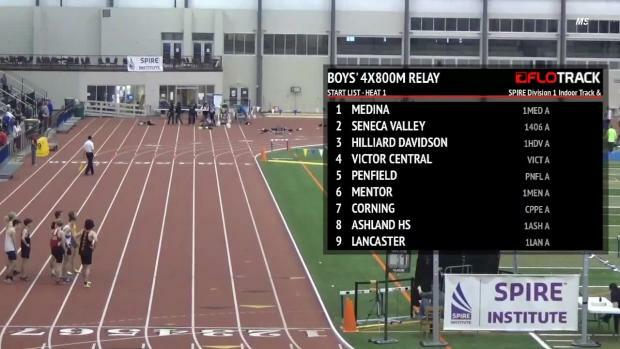 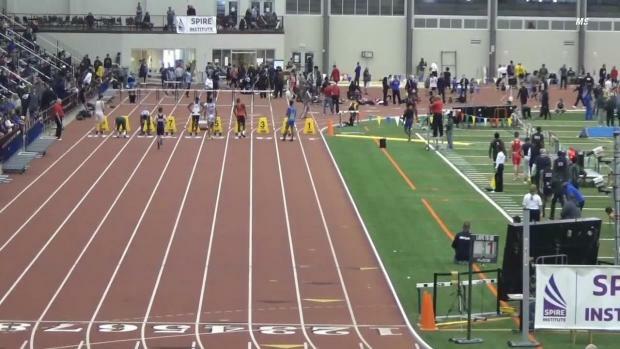 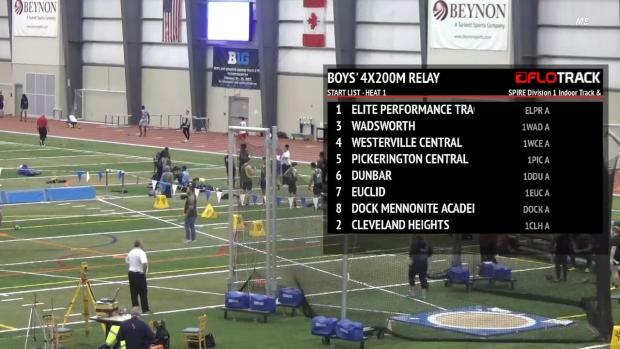 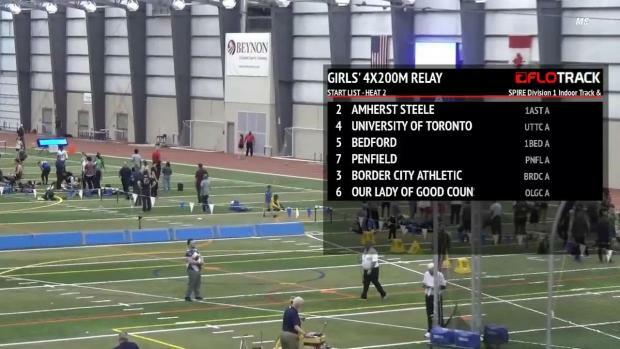 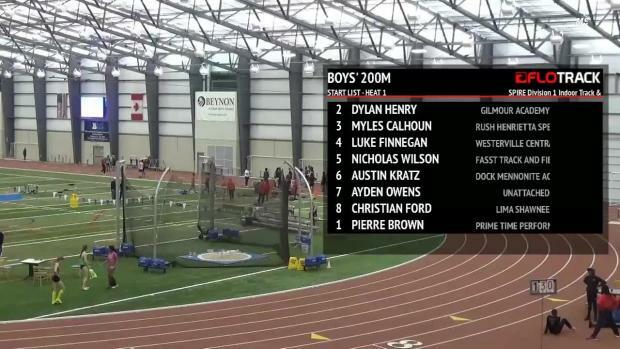 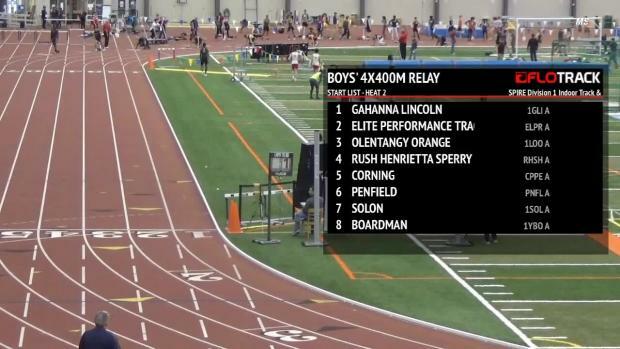 Who's entered in Sunday's huge Ohio meet? 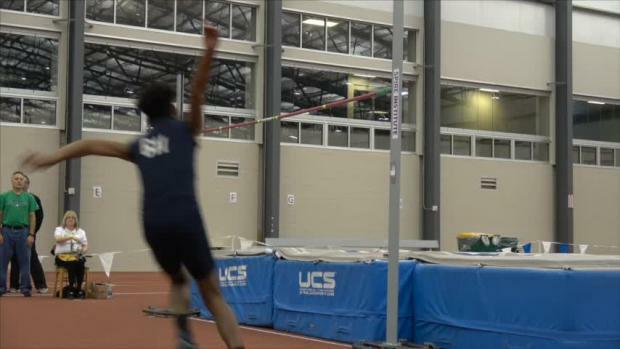 Ahead of Sunday's SPIRE Scholastic Showcase, what're the top performances in each event by PA athletes at SPIRE? 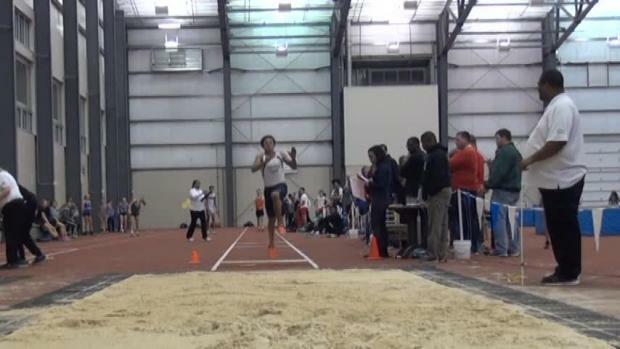 Nicholas Wilson, a junior formerly at DeMatha Catholic, but now competing unattached independent of a high school team, won the 400 meter dash at the SPIRE Scholastic Showcase this past weekend with a 49.41 effort. 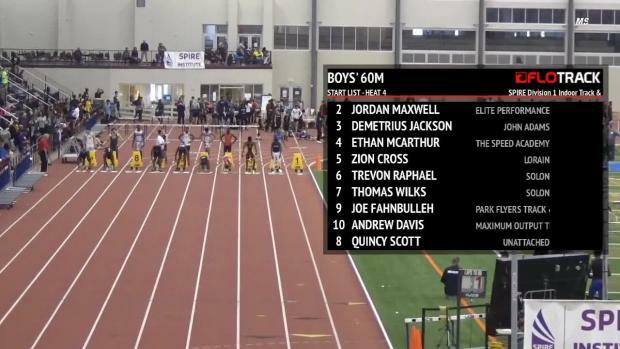 Maxwell Willis ran a 21.08 at the 2016 SPIRE Scholastic Showcase. Check out the updated list of indoor facility high school records for SPIRE following the 2018 Showcase. 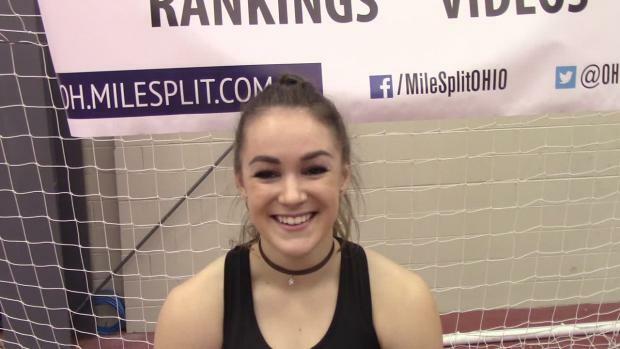 Nationally ranked, Abby Steiner will compete in the 60m and 200m events at the 2018 SPIRE Showcase. 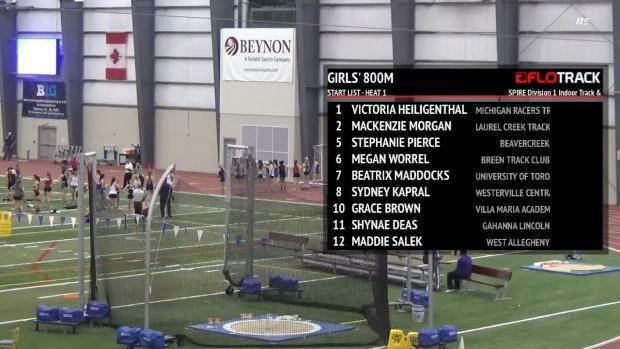 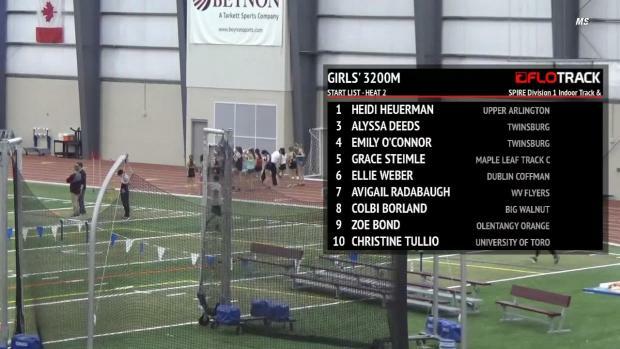 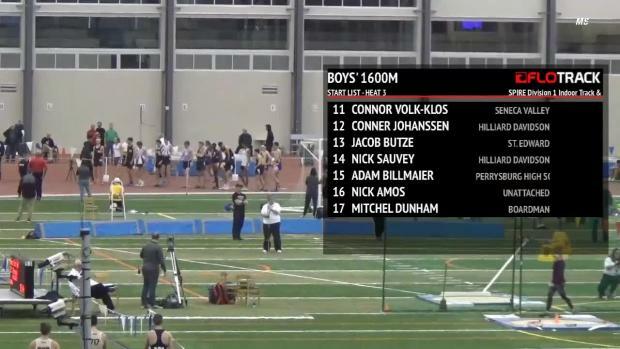 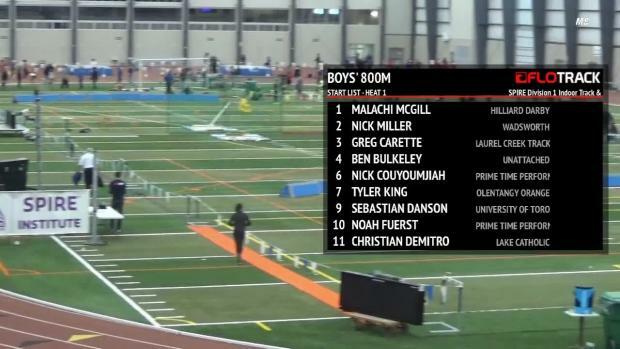 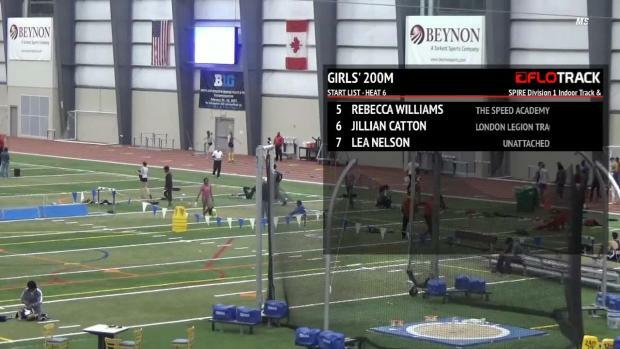 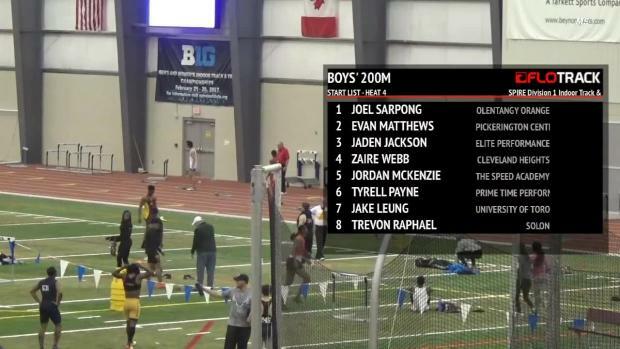 Check out the 800m Section 1 and 2 races and see five Michigan athletes finish in the overall top ten. 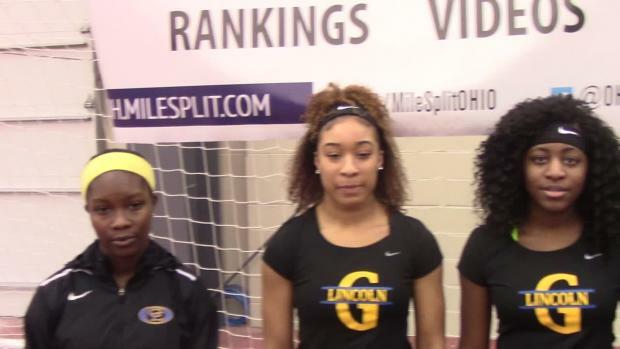 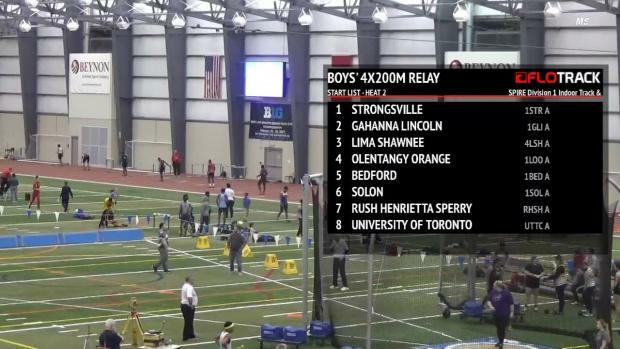 Gahanna Lincoln won the 4 x 200m relay at the SPIRE Showcase with their time of 1:42.31. 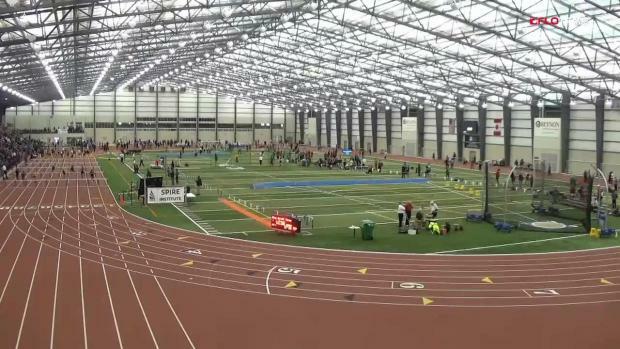 Check out all of the articles that have been posted in the lead-up to the SPIRE Scholastic Showcase! 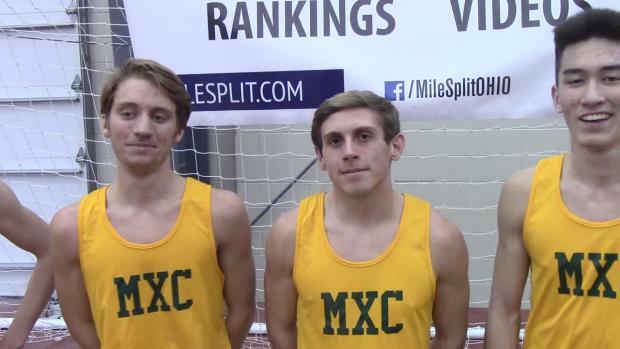 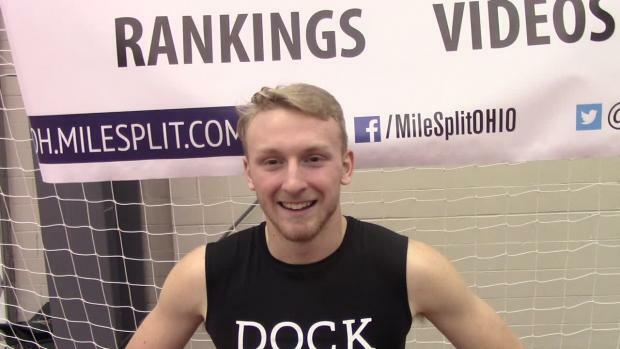 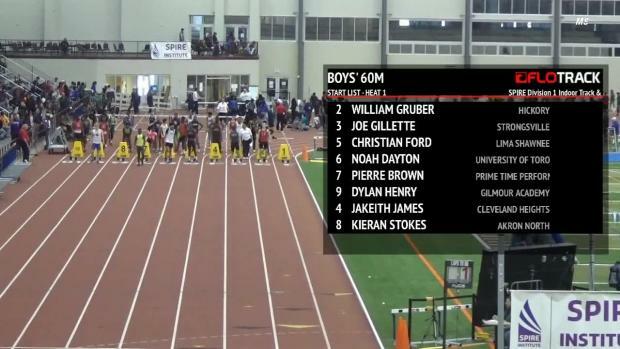 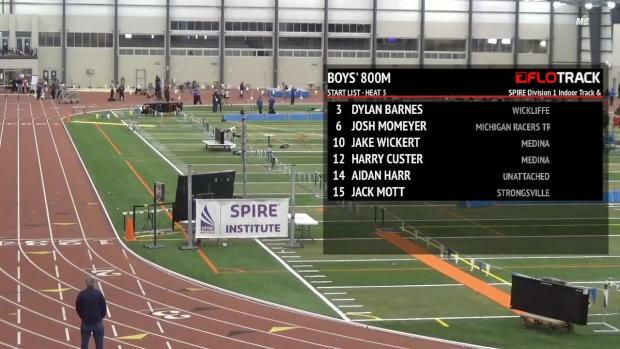 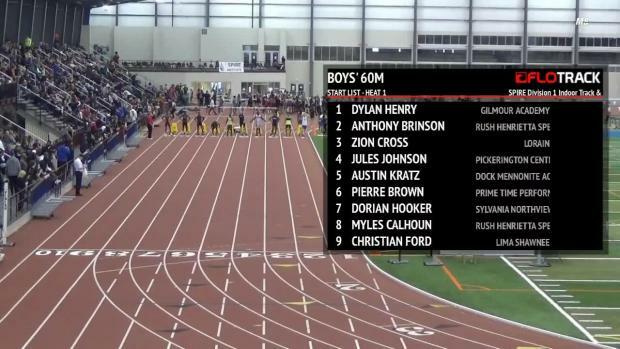 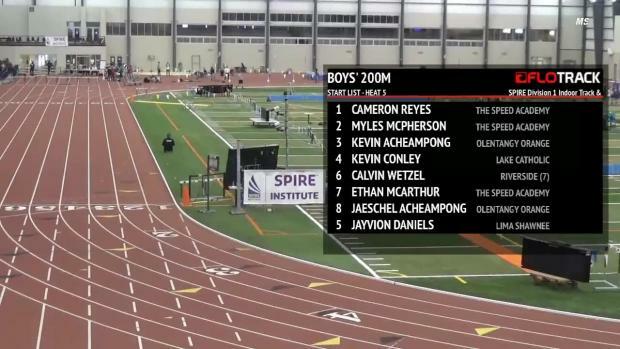 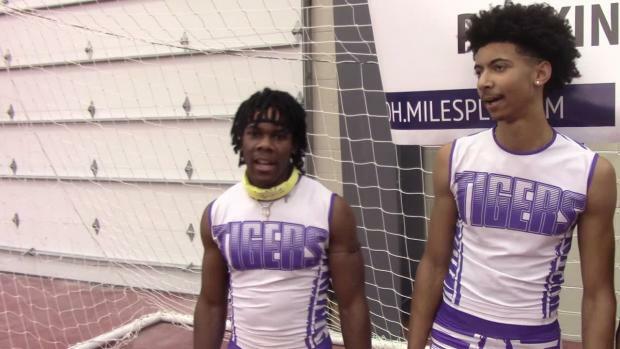 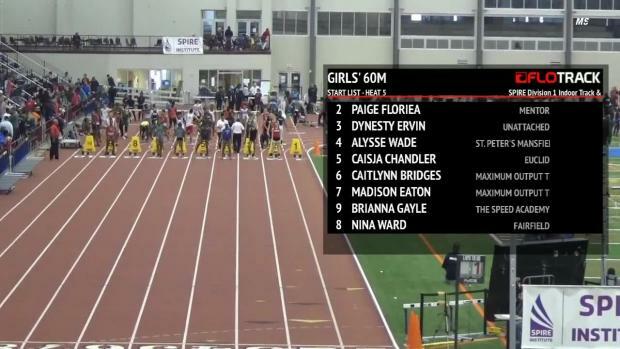 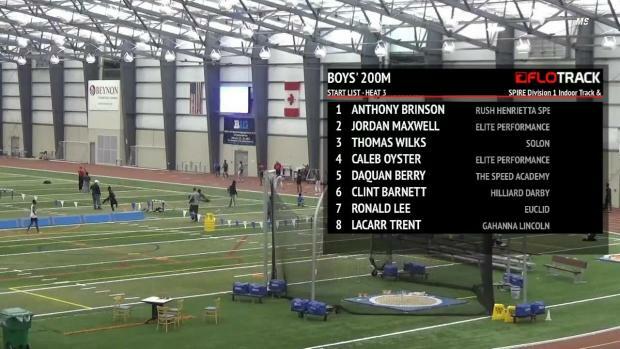 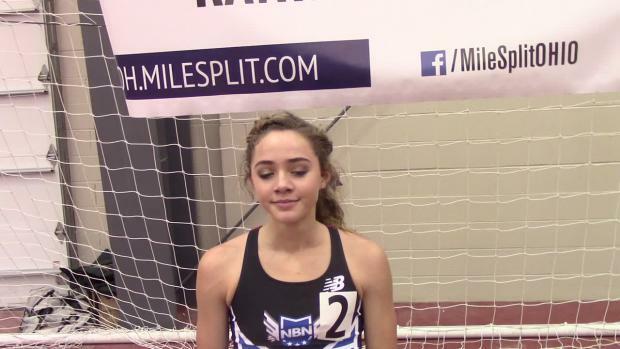 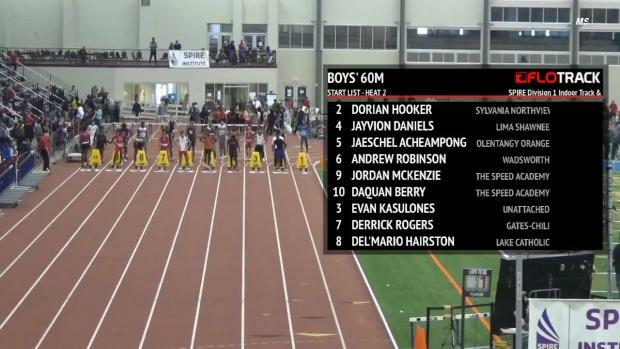 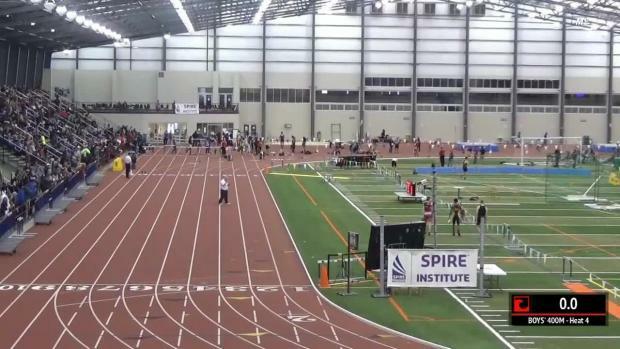 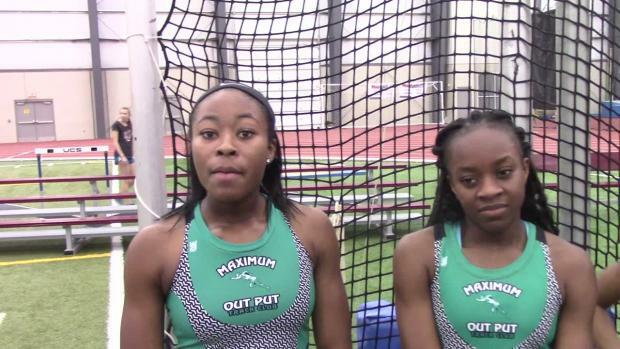 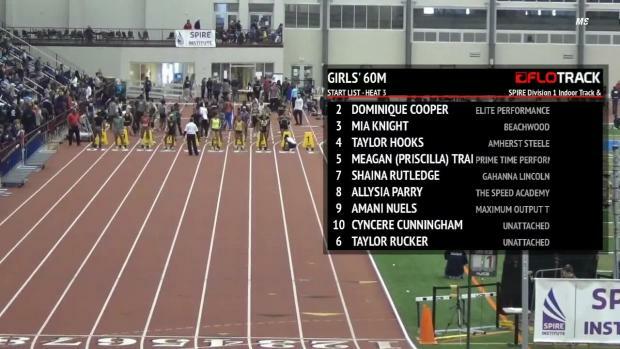 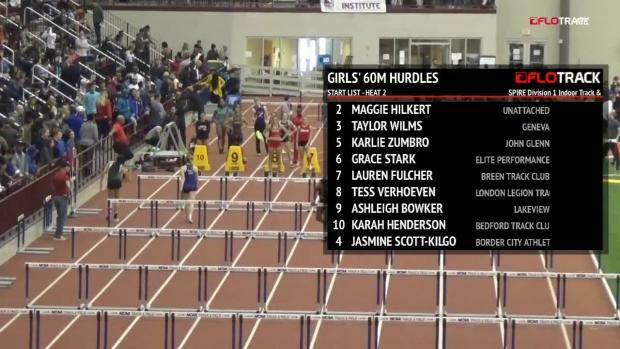 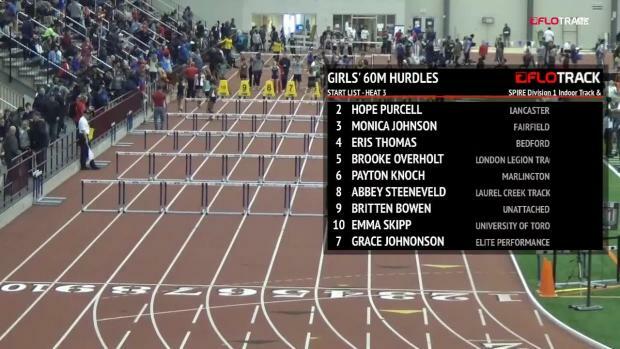 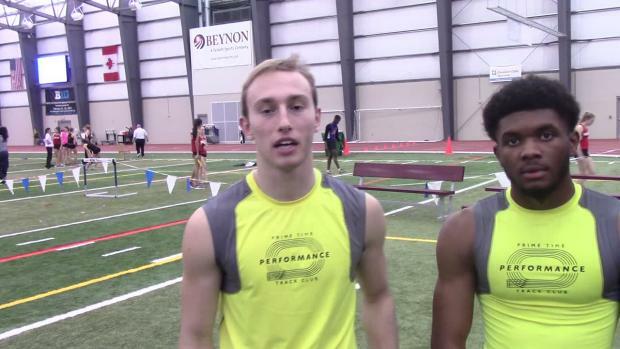 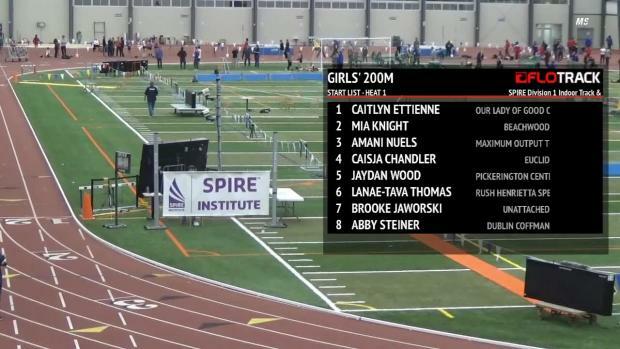 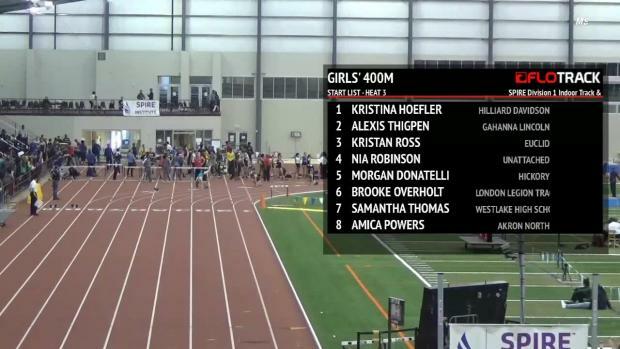 Check out athlete interviews from the MileSplit / SPIRE Scholastic Showcase. 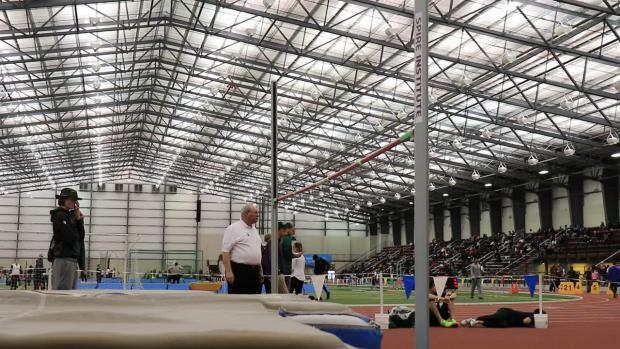 View over 6300 event pictures from the 2018 MileSplit / SPIRE Scholastic Showcase by Christian Lisle. 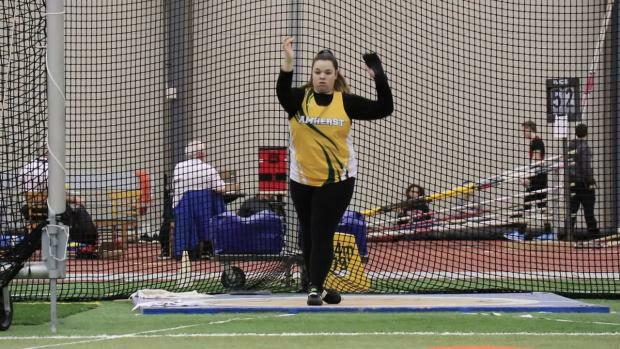 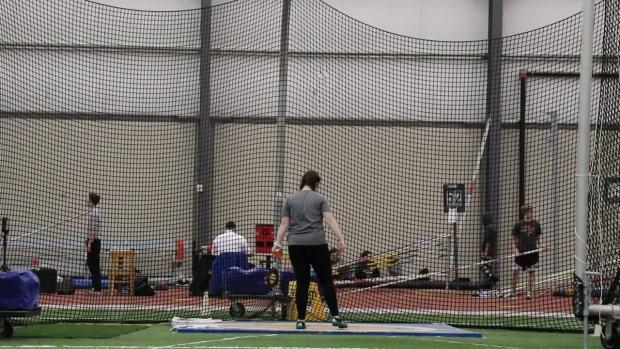 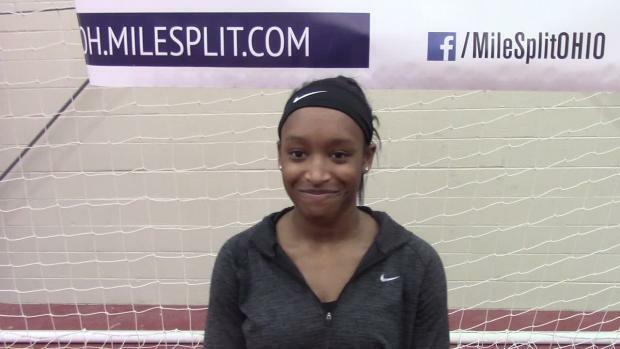 New York's Monique Hardy finished 3rd in the Shot Put event at the SPIRE Scholastic Showcase. 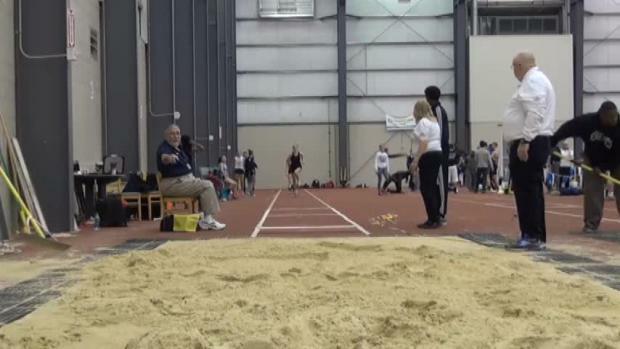 Rush Henrietta Sperry's Lanae-Tava Thomas won the long jump event at the SPIRE Showcase. 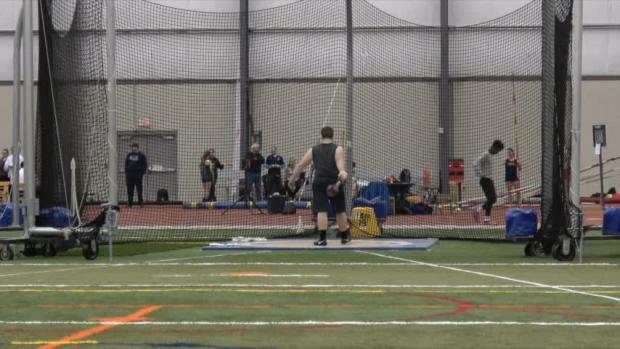 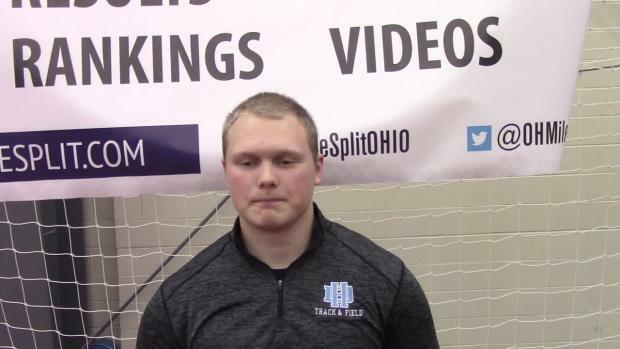 Rocky River's Michael Shoaf won the shot put event at the SPIRE Showcase with his throw of 59-5. 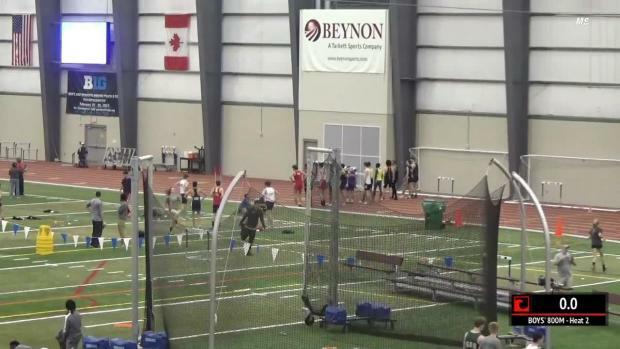 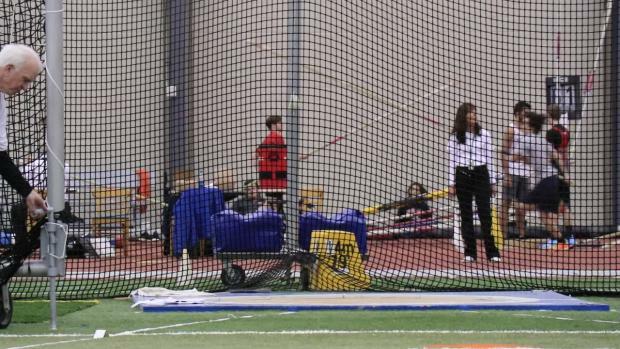 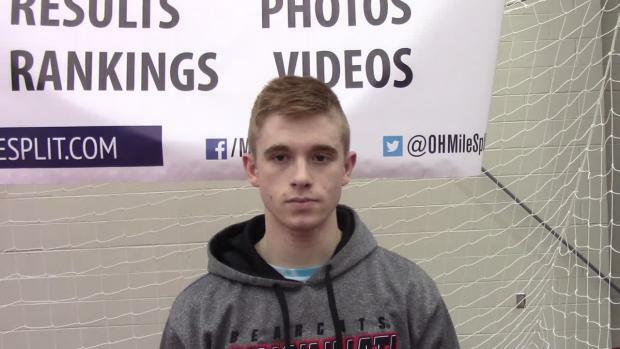 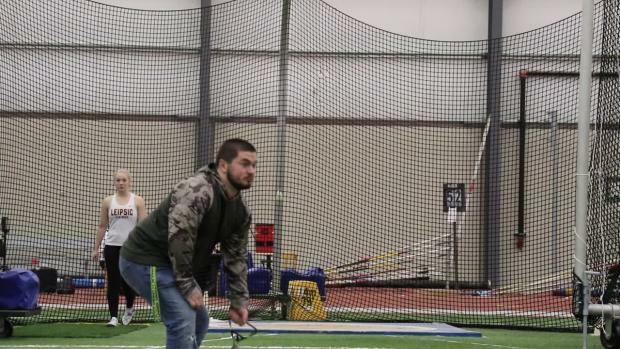 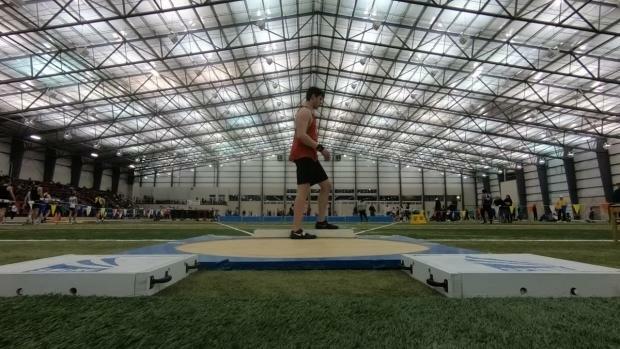 Pennsylvania's Austin Kratz won the 60m and 200m races at the SPIRE Scholastic Showcase. 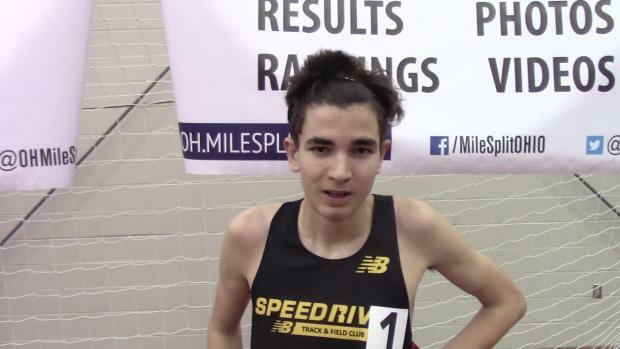 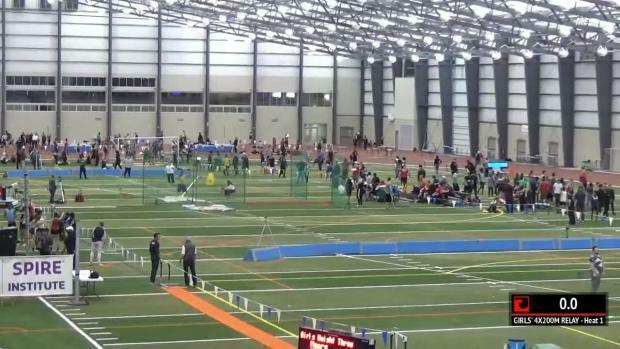 Marcus Kemp of Guelph, Ontario's Speed River Track Club won the 3200m race at the SPIRE Showcase. 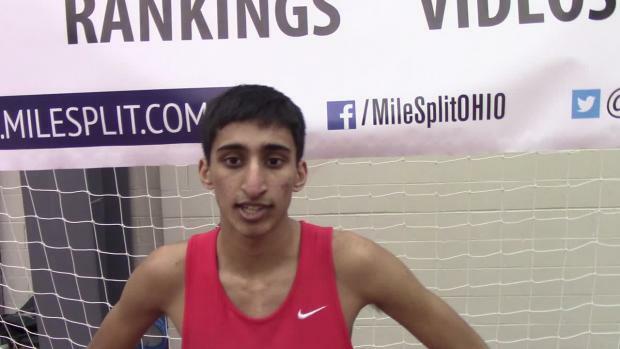 Thomas Worthington's Arjun Jha won the 1600m race at the SPIRE Showcase with his time of 4:16.74. 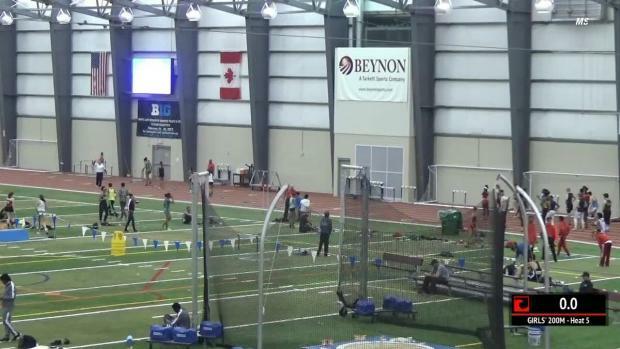 Check out all four photo albums from this past weekend's SPIRE Scholastic Showcase.